1. GENERAL: The terms and conditions on this form constitute the entire agreement between the parties. All sales of Almex Ltd. (Seller) are expressly conditioned under the Terms and Conditions set below (the Terms) which are the only Terms of this sales and supersede all prior negotiations, correspondence and statements. These Terms may in some instances conflict with those of the Buyer’s purchase order or other order. If so, such terms not in conformance with these Terms are rejected and Seller’s Terms shall govern. Acceptance of Buyer’s order is expressly conditioned upon Buyer’s acceptance of or assent to Seller’s Terms which shall be established by a written acknowledgement, by implication, or by acceptance or payment for products ordered hereunder. Seller’s failure to object to provisions contained in any communication from Buyer shall not be deemed a waiver of these Terms. Any changes in these Terms must specifically be agreed to in writing and signed by Almex Ltd. officer before becoming binding. Retention by Buyer of any products sold hereunder shall conclusively deemed acceptance of these Terms. 2. SHIPMENT: All shipments are made FOB Seller’s shipping point unless otherwise specified. In the absence of specific instructions Seller selects the carrier. Title to products and risk of loss pass to buyer upon delivery therof by Seller to carrier or delivery service. Buyer assumes risk of loss in shipping and all liability for loss of damages, whether direct, indirect, consequential, or otherwise, due to delays once the products have been delivered to carrier. Buyer agrees to purchase any and all insurance it deems necessary to indemnify it against and loss in shipping. Buyer agrees to reimburse Seller for any such insurance cost immediately upon receiving an invoice thereof. 3. EXCLUSION OF WARRANTIES: Seller assigns to its customer those warranties and only those warranties by its vendors. Seller does not itself warrant any product which it sells. THERE ARE NO WARRANTIES EXPRESS OR IMPLIED, OF MERCHANTABILITY, OR FITNESS FOR PARTICULAR PURPOSE OR OTHERWISE, WHICH EXTEND BEYOND THE DESCRIPTION ON THE FACE HEREOF. IN NO CASE SHALL SELLER BE LIABLE TO ANYONE FOR ANY CONSEQUENTIAL OR INCIDENTAL DAMAGES FOR BREACH OF THIS OR ANY OTHER WARRANTY , EXPRESS OR IMPLIED, OR ANY OTHER BASIS OF LIABILITY WHATSOEVER, EVEN IF THE LOSS OR DAMAGE IS CAUSED BY ITS OWN NEGLIGENCE OR FAULT. Seller does not represent that that the products it sells may not be compromised or circumvented; that the products will prevent any personal injury or property loss by burglary, robbery, fire or otherwise; or that the products will in all cases provide adequate warning or protection. Customer understands that properly installed and maintained alarm may only reduce the risk of a burglary, robbery or fire without warning, but it is not insurance or guarantee that such will not occur or that there will be no personal injury or property loss as a result. CONSEQUENTLY SELLER SHALL HAVE NO LIABILITY FOR ANY PERSONAL INJURY, PROPERTY DAMAGE OR OTHER LOSS BASED ON CLAIM THE PRODUCT FAILED TO GIVE WARNING. However if it is held liable whether directly or indirectly for any loss or damage with respect to the product it sells, regardless of cause or origin, its maximum liability shall not in any case exceed the purchase price of the product, which shall be fixed as liquidated damages and not as penalty, and shall be the complete and exclusive remedy against Seller. 4. LIMITATION OF LIABILITY TO BUYER’S CUSTOMERS; INDEMNIFICATION OF SELLER: Buyer agrees to limit liability to its customers to the fullest extent permitted by law. By accepting the goods, to the fullest extent permitted by law, buyer assumes all liability for, and agrees to indemnify and hold Seller harmless against and defend Seller from, any and all suits, claims, demands, causes of action and judgments relating damages, whether for personal injury or to personal property, suffered by any person, firm, corporation or business association, including, but not limited to, Buyer’s customers and/or end users of the goods because of failure of the goods to detect and/or warn of the danger for which the goods were designed, whether or not such damages are caused or contributed to by the sole or joint concurring negligence of Seller. 5. REPAIR AND RETURN POLICY: Seller will accept returns for credit of only unused product in original packages with original accessories, manuals and in condition that could be sold as new providing the item was purchased from Almex Ltd. no more then 30 days prior the date of return. This is valid for REGULAR STOCK ITEMS ONLY. If item is special ordered for Buyer it can NOT be returned. Smart cards and SDK’s can not be returned or exchanged. Buyer keeps right to charge restocking fee 10%-40% (ten-forty) of the purchase price for restocking fee. Customer must provide proof of purchase. Any materials returned for repair, replacement or credit must be shipped freight prepaid and must be clearly marked with valid RMA# (Return Authorization number). Any materials received freight collect or without RMA# will be refused. Almex Ltd. is not obligated to replace or repair any product that, after leaving our premises has been damaged, altered, modified, abused, improperly installed or otherwise misused. 6. REPLACEMENT POLICY: Any product which is initially defective or becomes defective within 30 days (thirty) from date of purchase may be exchanged for a new product at no charge to the Buyer. Buyer must provide proof of purchase. Above policy does NOT apply to any CCTV products. Seller is acting as an agent for the Vendor. As such, Buyer is warranting that product is initially defective. Seller will in good faith, will take this unit and send it to designated manufacturer. If, however, upon inspection manufacturer determines that the product is not defective, or out of warranty, or installed improperly, or product was abused, Buyer shall pay charges relating to the product, as well as the replacement product previously given. 7. TAXES: Prices do not include any provincial, state, sales, use, excise or similar taxes. Consequently, in addition to prices specified, the amount of any present or future tax that may be imposed shall be paid by Buyer, or in lieu thereof will provide Seller with tax exemption certificate acceptable to the taxing authorities. 8. PURCHASE ON CREDIT: This purchase, or prior purchases of Buyer from seller, may have given rise to the extension of credit to Buyer from seller. Seller reserves right at any time to revoke any credit extended to Buyer because of Buyer’s failure to pay for any products when due or for any other reason deemed good and sufficient by Seller, and in such event all subsequent shipments shall be paid for on delivery. If this Invoice is not paid when due, Buyer agrees to pay all costs of the collection including agency and attorney fees, whether incurred in or out of court, on appeal, in arbitration, in Bankruptcy Court, or in any insolvency proceedings. Credit balance can be used by Buyer for any purchases for period of maximum 3 years from date of issuance. After that period credit is deleted from the books and no new one will be issued. 9. INTEREST ON PAST DUE ACCOUNTS; ACCELERATION OF OPEN ACCOUNTS: Interest at the maximum legal rate of 2% per month, compounded monthly, will be charged on overdue accounts commencing the 31st day after date of this Invoice. Orders will be held in overdue accounts. 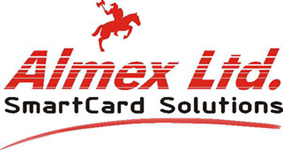 Almex Ltd. retains title to all goods sold until the Invoice amount is paid in full, whether or not that material has been re-sold. Buyer holds the goods and all proceedings therefrom in trust for Almex Ltd.
10. WAIVER: No waiver by Seller of any of these Terms shall deemed to constitute a waiver of any other terms or waiver of the same or any other provision with regard to portions of this transaction or future transactions. 11. ERROR: Stenographic and clerical errors and omissions in the Invoice are subject to correction. 12. APPLICABLE LAW: This agreement shall be deemed entered into the Province of Ontario, Canada and the laws of Mississauga shall govern its validity, performance and construction. 13. DEMAND FOR ENGLISH: The Seller, by making this agreement available to the Buyer, confirm that all documents and notices relating there to be drafted in English language only. While we can assist with equipment selection, it is customer’s ultimate responsibility in ordering proper equipment!